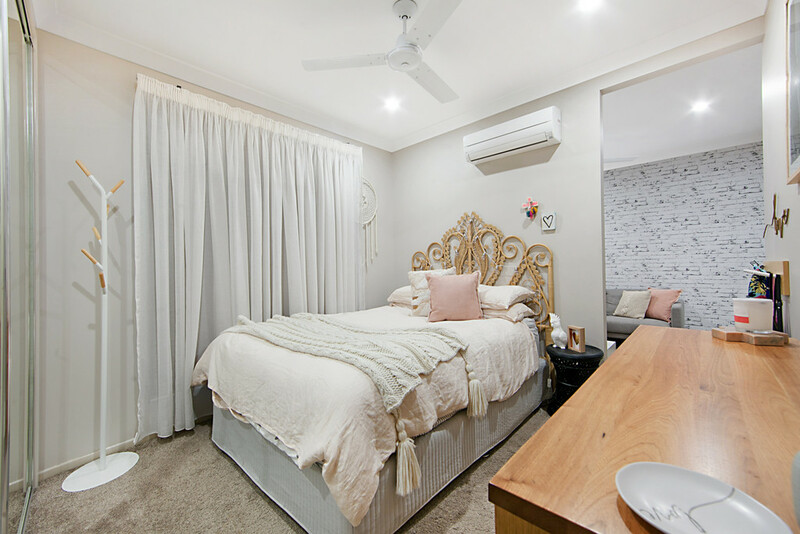 Located in a quiet street and perched on a 660m2 block this superb abode full of style and luxury caters for your every need. 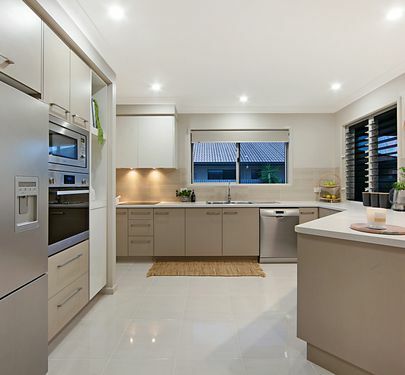 Designed for both family dinners and weekend entertaining you will have every occasion covered. 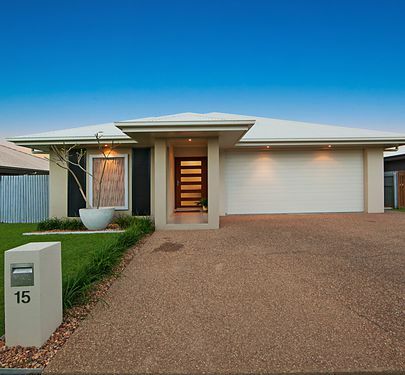 With subtle fresh street appeal, you will be amazed with that lies beyond the entry of this home. 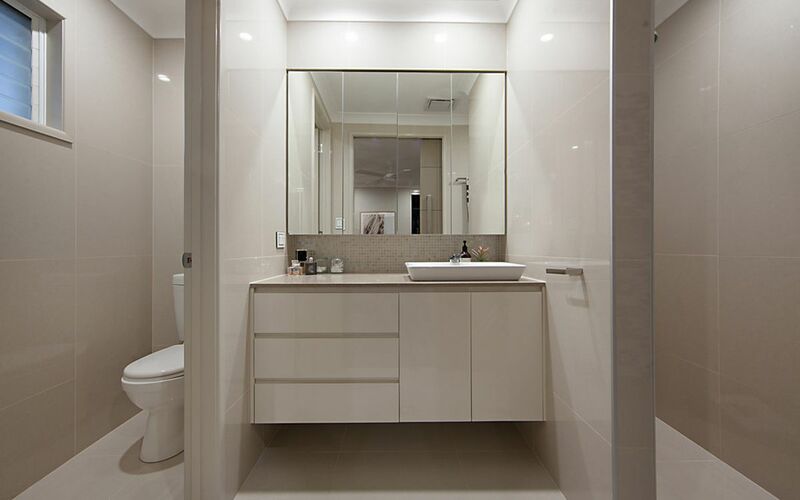 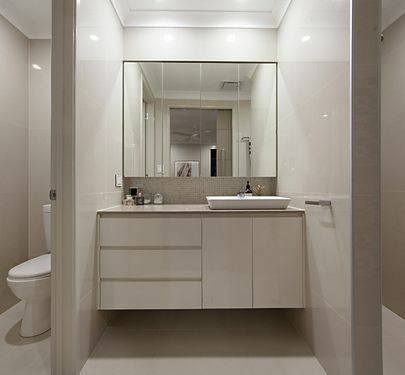 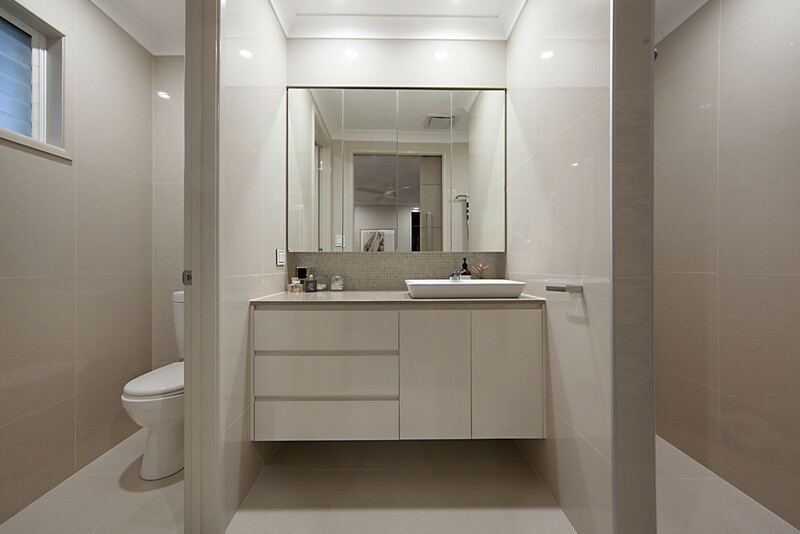 Flattering large white high gloss tiles and a beautifully selected neutral colour scheme flows effortlessly throughout, tying everything perfectly in together. 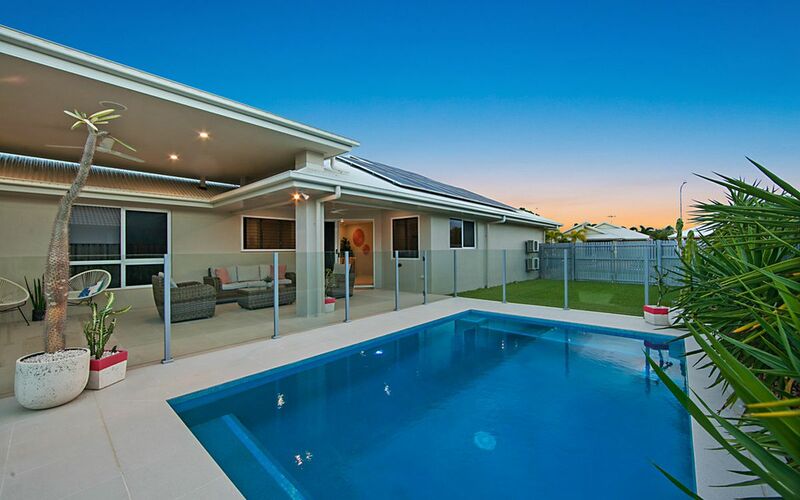 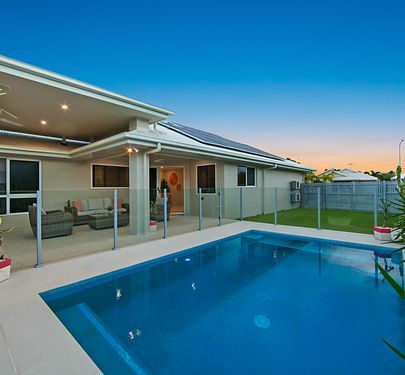 This stunning home comprises four bedrooms with the option for multiple uses, 2 of the 4 bedrooms are combined which could be used as a bedroom plus teenagers' retreat or 2 separate bedrooms. The kitchen is fantastic in size with ample storage space, offering a walk in butlers pantry too. 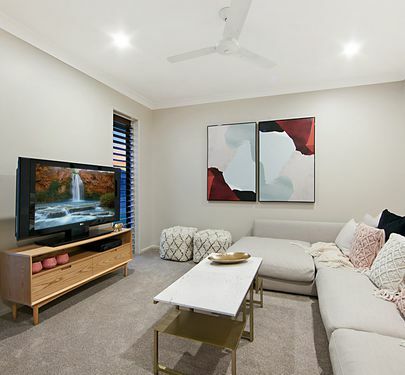 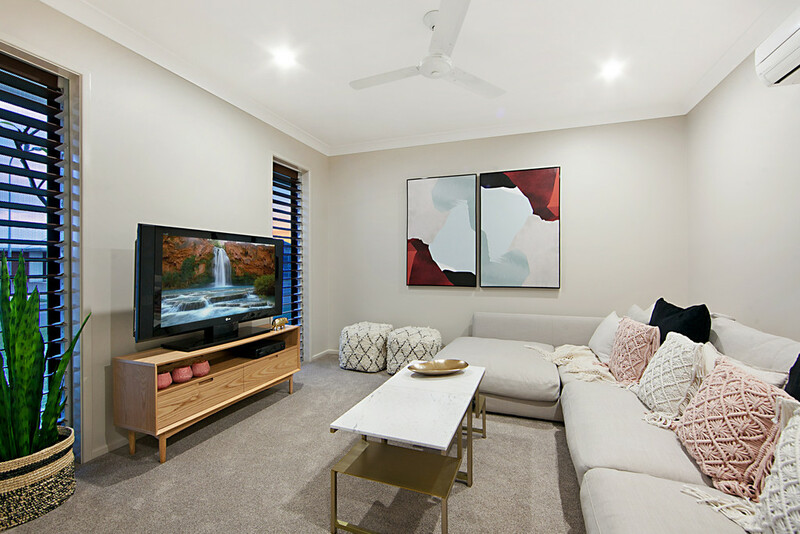 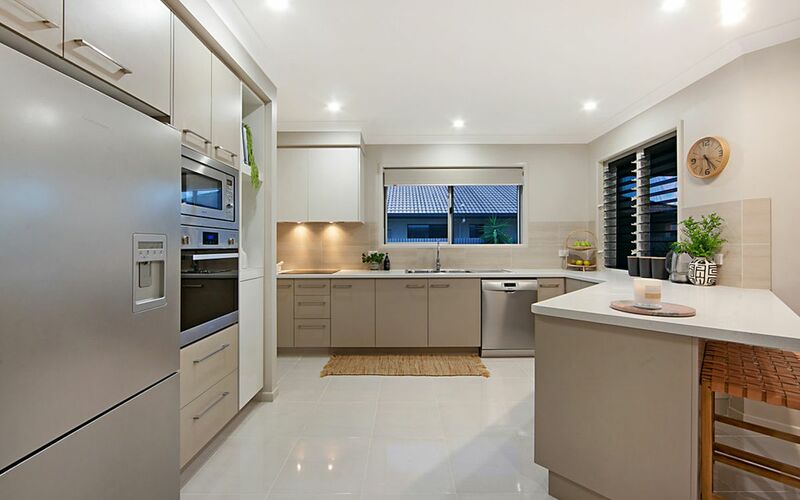 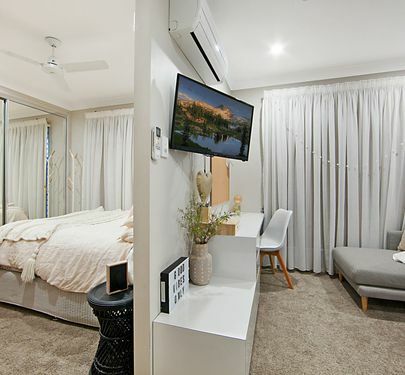 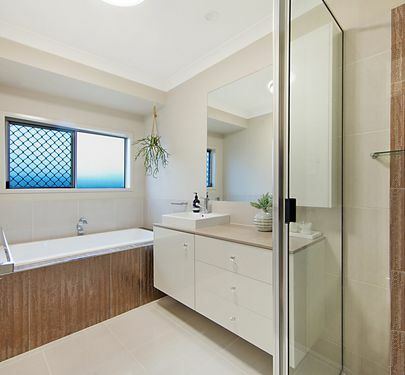 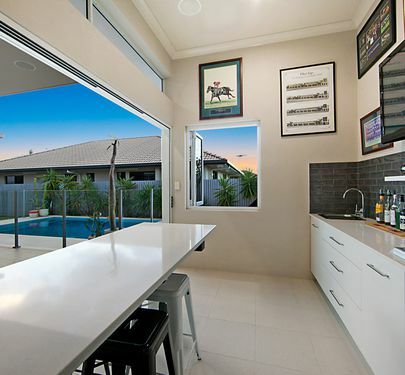 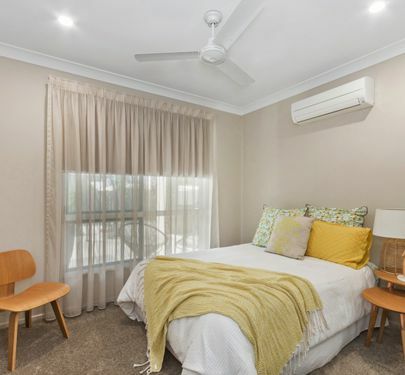 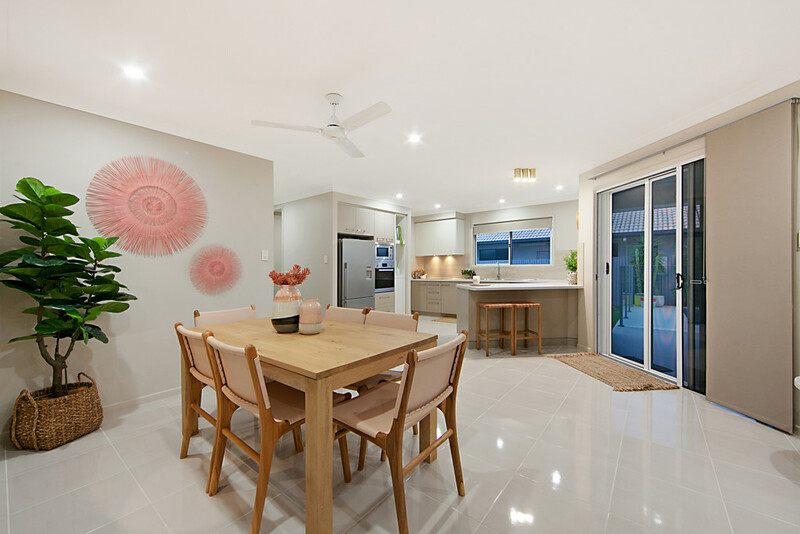 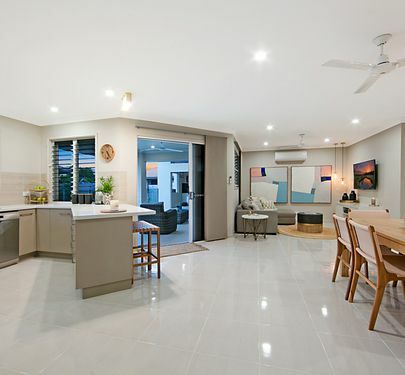 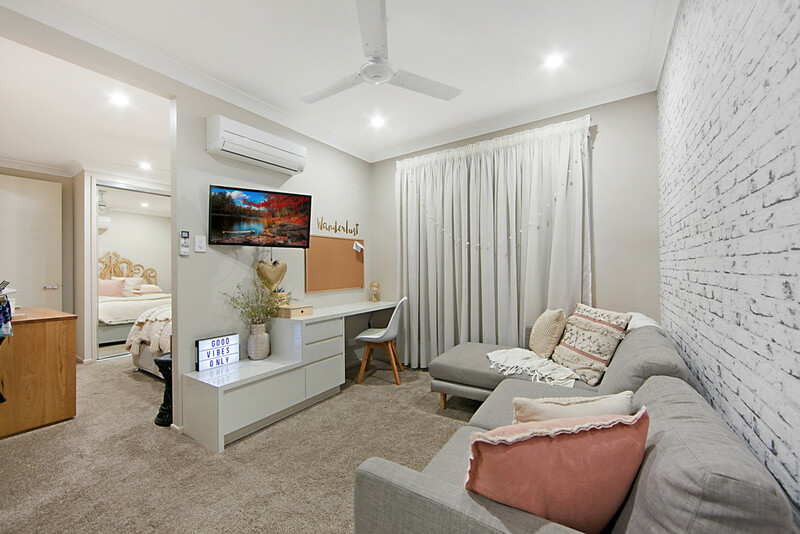 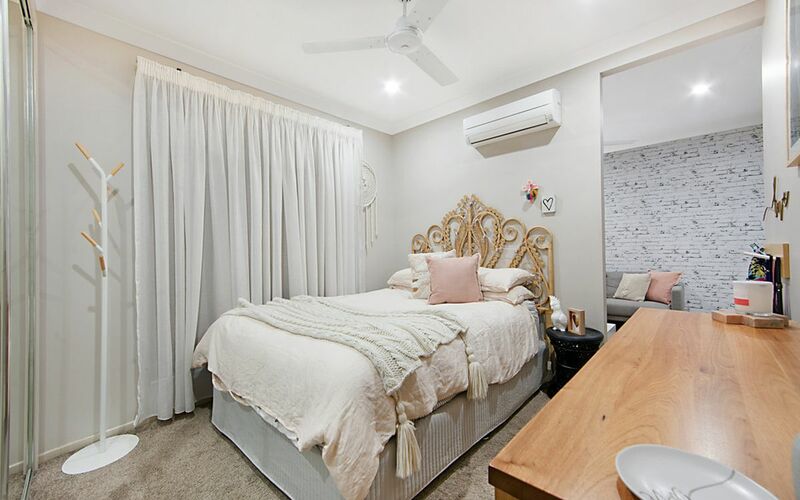 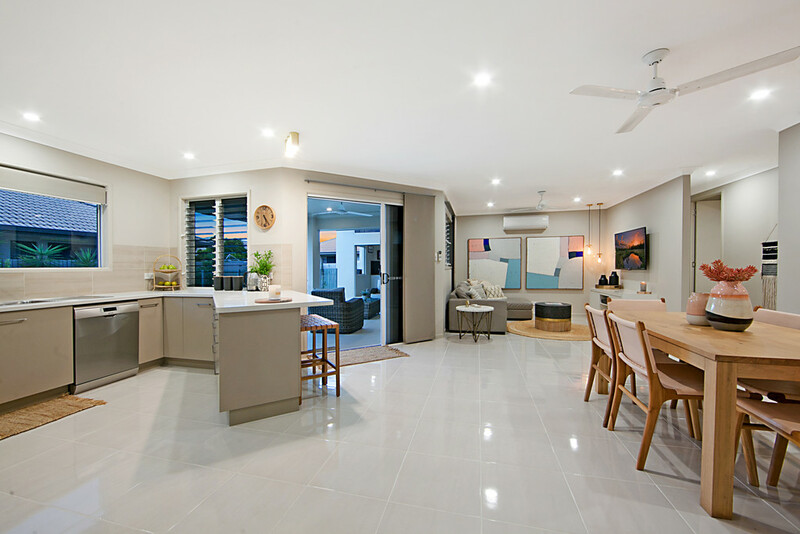 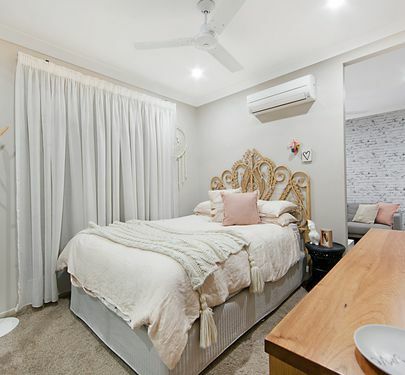 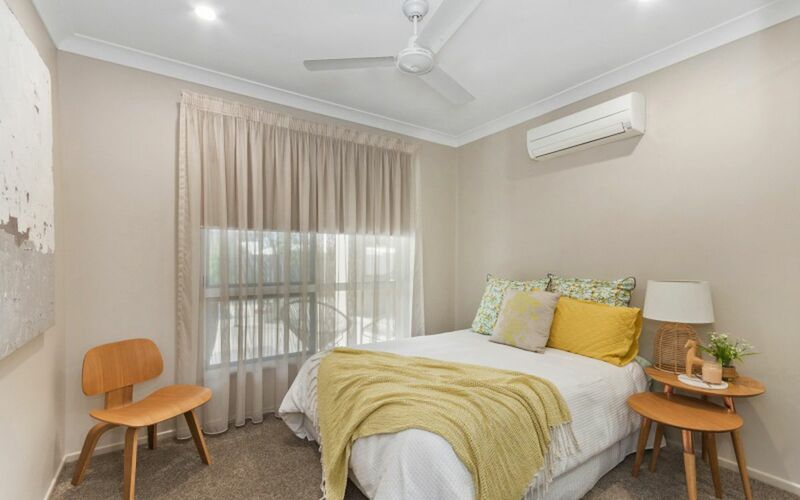 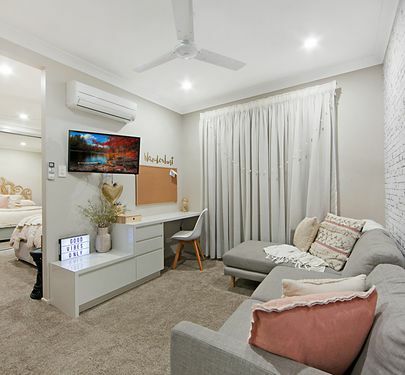 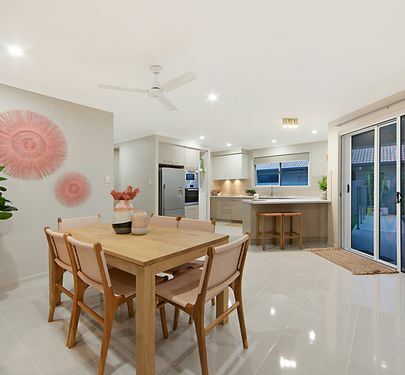 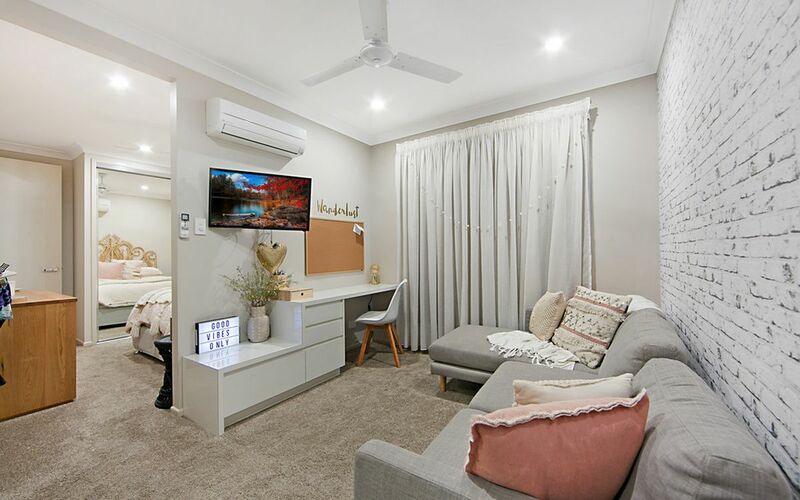 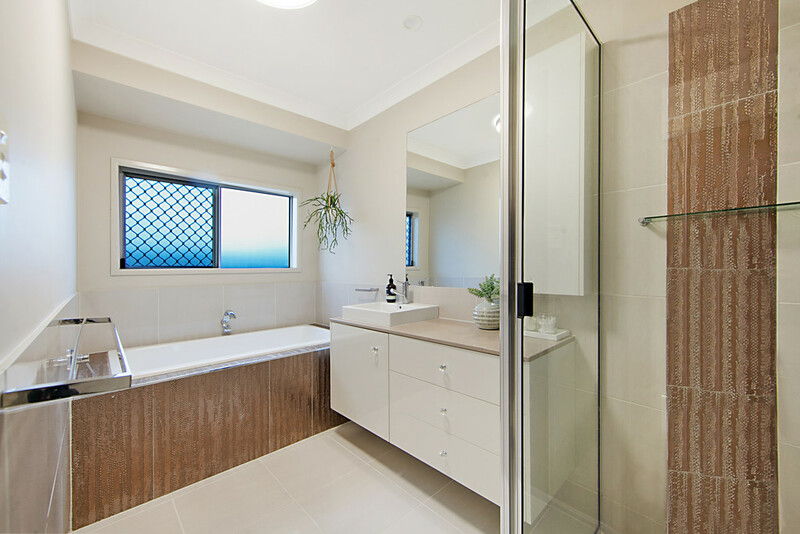 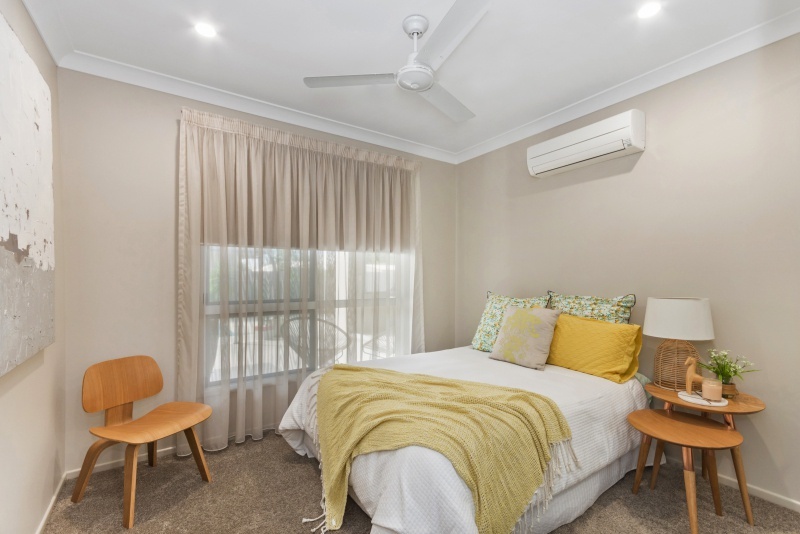 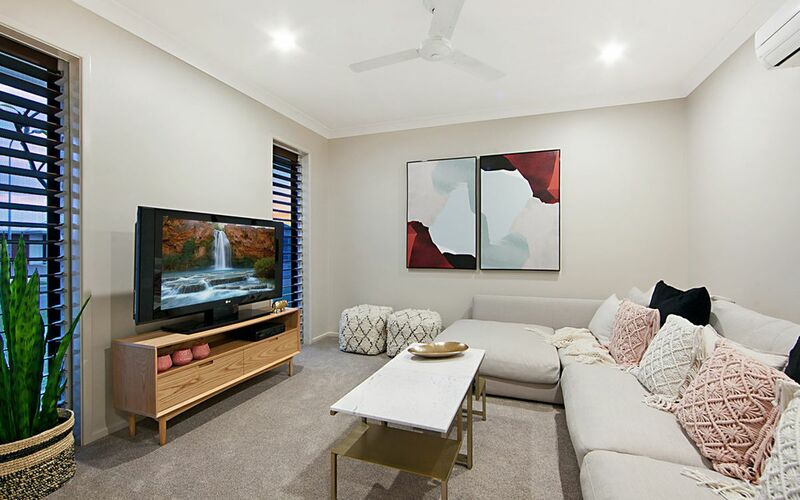 With modern appliances, a sleek high gloss look, white clean crisp bench tops and an abundance of natural light you will instantly feel right at home. 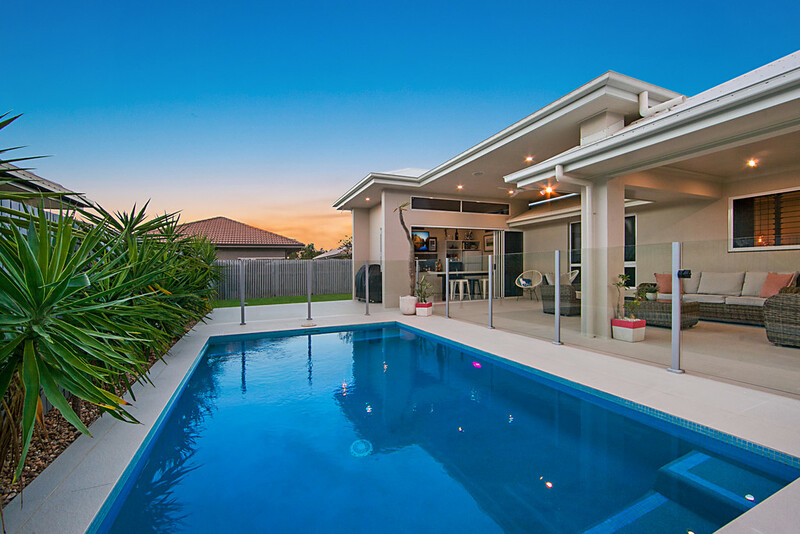 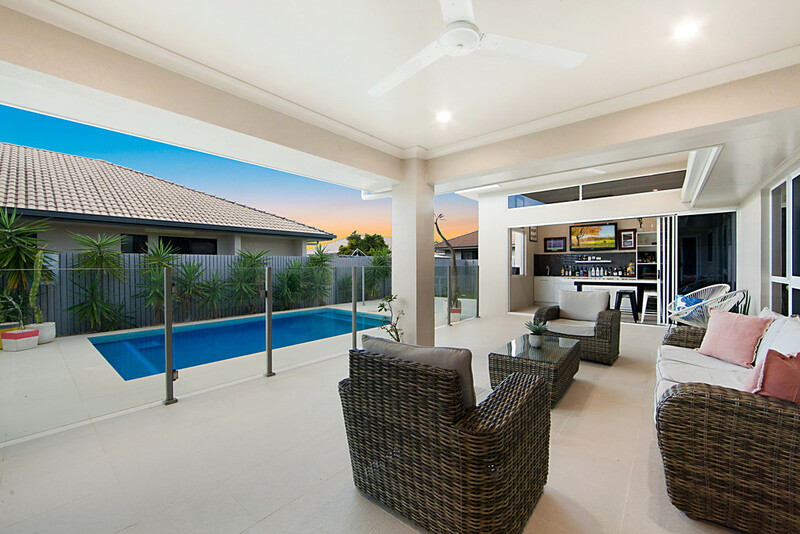 A combined dining and living area flows seamlessly out onto your oversized north-facing covered entertaining area where you can entertain or relax all year round. 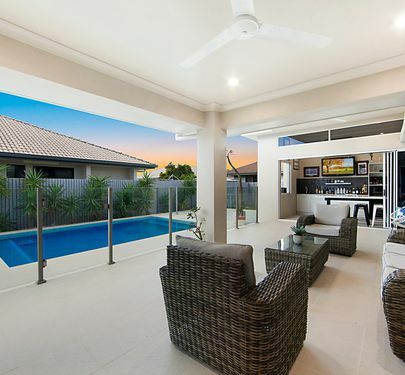 The outdoor bar area will be the envy of all your friends. 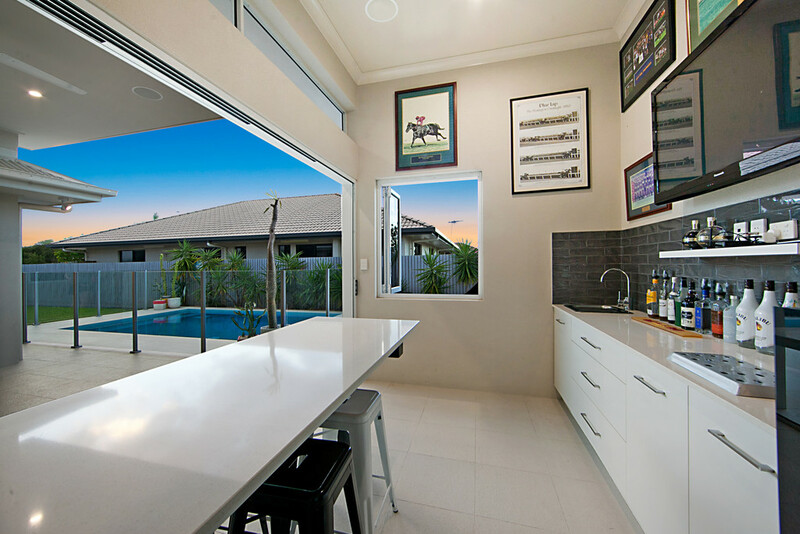 Sliding back the large glass doors it's like having your very own sports bar at home looking over the great sized ground pool. All bedrooms are of great size and feature both walk in and built in robes. 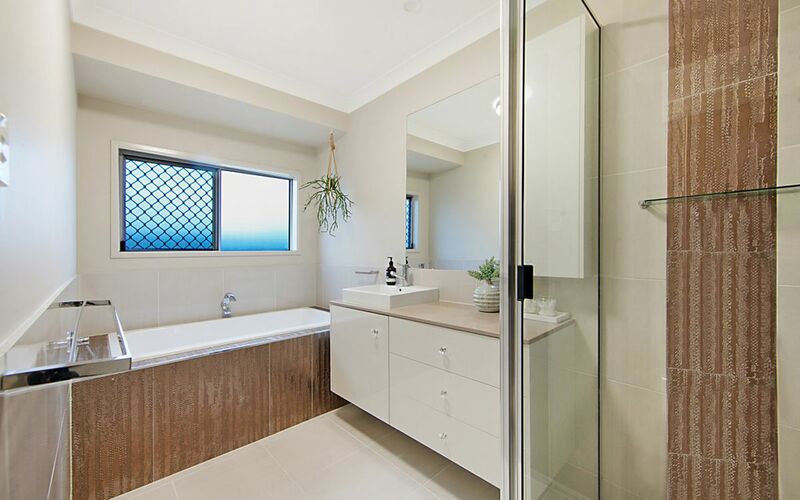 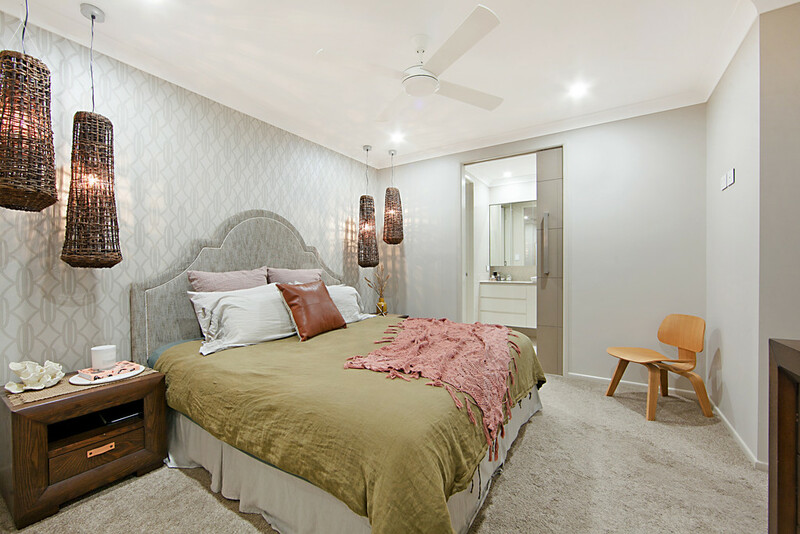 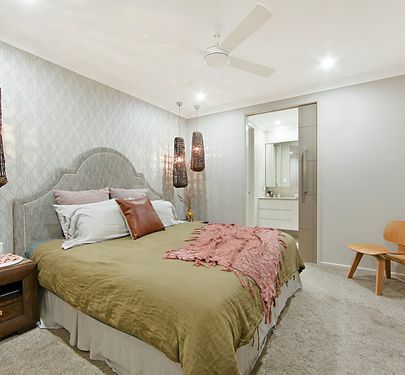 The main bedroom has a large floor to ceiling tiled ensuite and a walk in robe every mum would dream of. 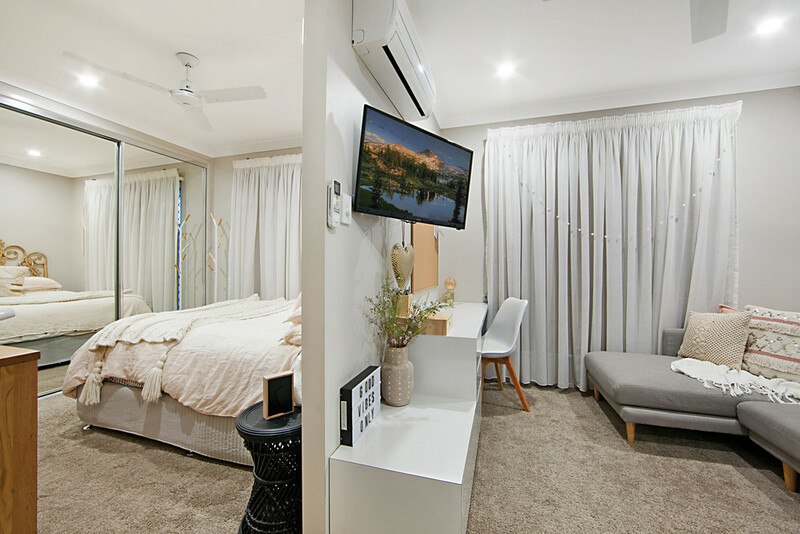 The house is fully air conditioned with reverse cycle split systems throughout ensuring comfortable temperatures whatever the season. 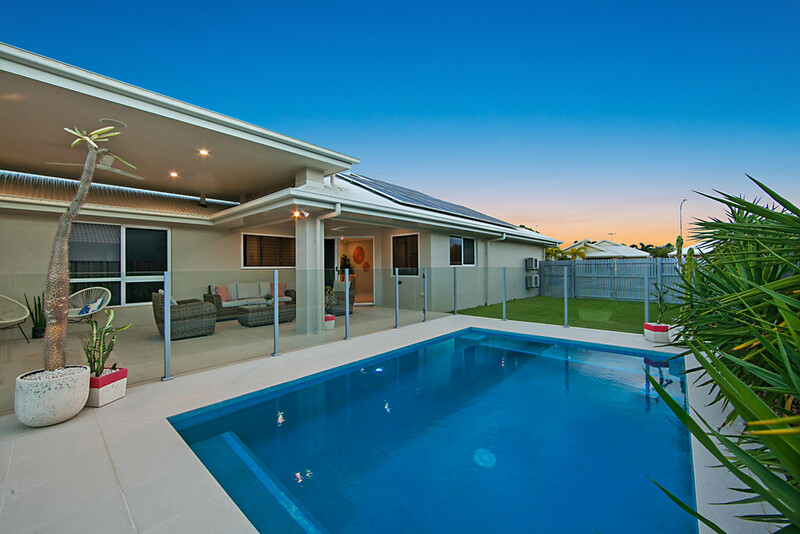 Also you will be saving on your electricity bill with the 5kw solar system that is attached to the roof of the property. The kids still have plenty of room to play and the back yard is fully secured for pets. 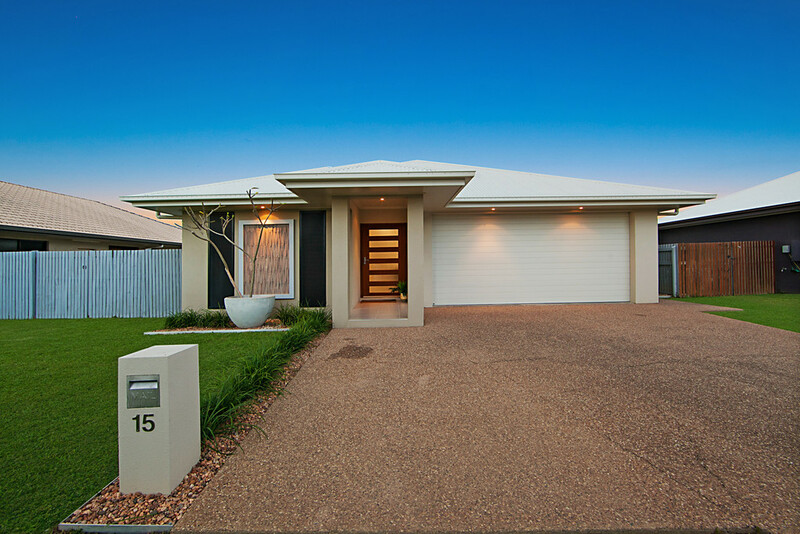 Dad can even put up a shed or store the caravan or big boat behind the double gates. 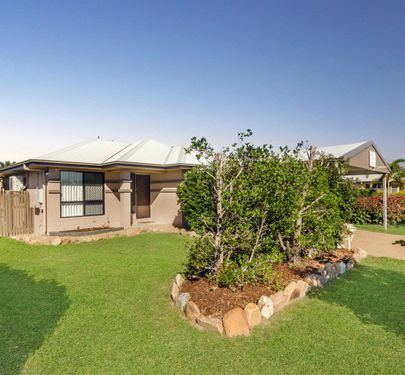 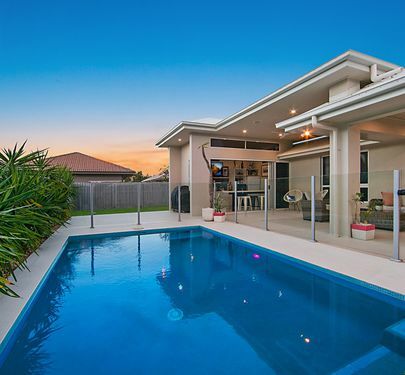 This property is perfect for the family looking for a bit of space and the added bonus of some wow factor in the suburbs, make sure you give yourself a chance to inspect before it's sold! 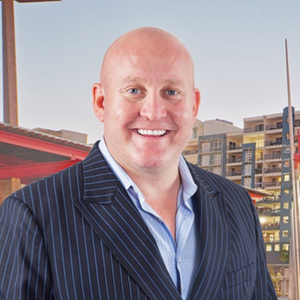 Check out and like our Facebook page Selling Homes with Troy Standley and Clint Wallis for other quality properties.